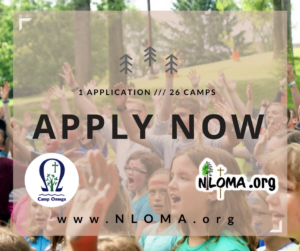 Camp Omega is a Lutheran Christian Camp and Retreat Center located in Waterville, MN (about an hour south of the Twin Cities of Minneapolis and St. Paul, about 30 minutes east of Mankato,30 minutes north of Owatonna, and 15 minutes west from Faribault.) From June-August, Camp Omega runs both a summer camp program and a traveling Day Camp program. Last summer, 2,000 campers participated in these programs. This summer, we want you to be a part of it. Every season Camp Omega employees approximately 30 college-aged adults to serve as counselors for our summer camp programs. Counselors must be at least 18 years old, have completed their first year in college, and must have a great love for Christ, and excitement for sharing His word.